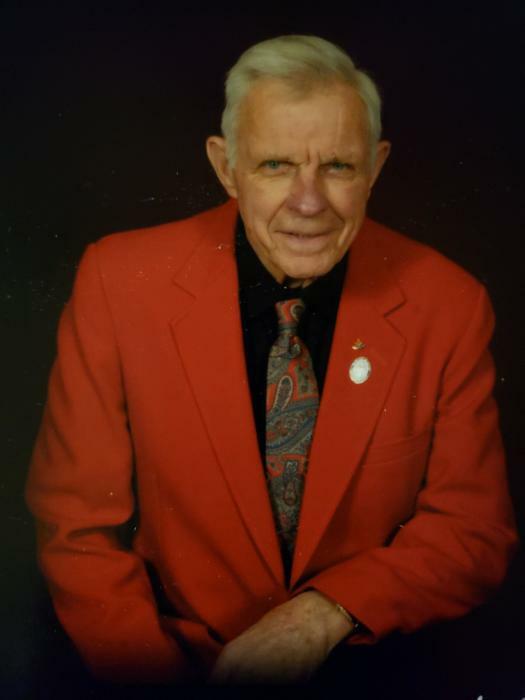 Murvin Russell "Homer" Homann Jr.
Murvin Russell "Homer" Homann, Jr., age 81 of Brundidge died Sunday, November 25, 2018 at his home. Homer was born in Rome , Wisconsin to the late Murvin Russell and Irene Overturf Homann.He was also preceded in death by his siblings, Roger Homann, Kathy Kubisiak, Donald Homann and Rodney Homann. A memorial service for Homer Homann will be held Sunday, December 2, 2018 at 3;00 PM at the Brundidge United Methodist Church with Reverend Ed Shirley and Reverend Michael Lawler officiating. Visitation will be held at the church from 1:00 PM until 3:00 PM. His survivors include; wife of 59 years, Barbara Jean Homann of Brundidge, daughters and sons-in-law, Robyn J. and Michael Hewitt of Georgia, Debbie J. and Kirk Freeberg of Wisconsin Rapids, WI, and Wendy S. Homann of Davie , FL. his grandchildren, Kade Michael Hewitt, Aleena Hewitt, Britney Cannon, Bryce Homann, Kory Freeberg, Jackie Freeberg and Blake Knuth, his great grandchildren, Maggie J. Cannon and Addie L. Freeberg, his siblings, Chet Homann , Judy Homann, Donna Ferkey, Denise Blanchard, Larry Homann, Dennis Homann and Chris Homann. In lieu of flowers memorials may be made to the Brundidge United Methodist Church, 140 N. Main Street, Brundidge, AL 36010, Shriners Children's Hospital, 2900 Rocky Point Drive, Tampa, FL 33607 or to the charity of your choice. The staff of Green Hills Funeral Home is honored to serve the Homann family.